I went into Dixie Gyro thinking I was going to get a gyro, but instead I got their oyster po’boy! It was golden, perfect bites of crunchy oysters that deliciously melts in my mouth, nicely dressed (all the stuff on it like lettuce, tomatoes, etc) and HUGE! You see, growing up, I had no idea that po’boys came in so many varieties. I thought it was just ham w/ cheese on french bread. Period. End of story. Oh boy, was I surprised to see them w/ Shrimp, Catfish, Oysters, Sausages, Roast beef, etc. Omg! Varieties that made my head spin. Okay, you say, it’s just a sandwich! But seriously, po’boys are special and I can see why people like them so much! They are just GOOD! 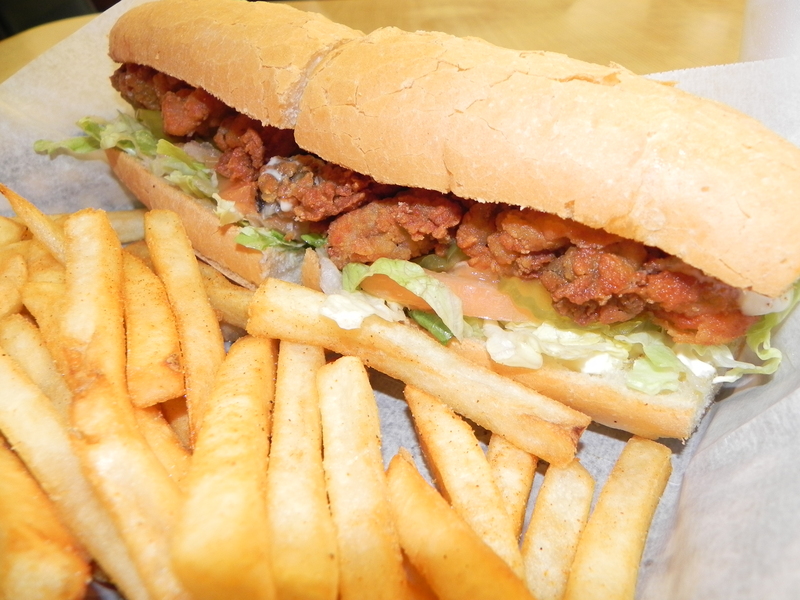 To read more about the history of po’boy sandwiches, see this wiki page. You too, Izzie! You too.